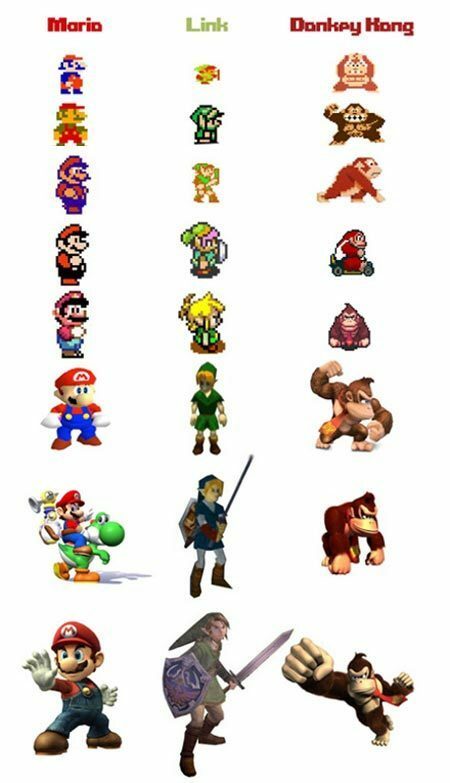 Epic Characters - Evolution. . Wallpaper and background images in the Nintendo club tagged: nintendo nintendo characters mario donkey kong link evolution.